The British Virgin Islands, United Kingdom and Spain. So over a month has passed and in that time a lot has happened. 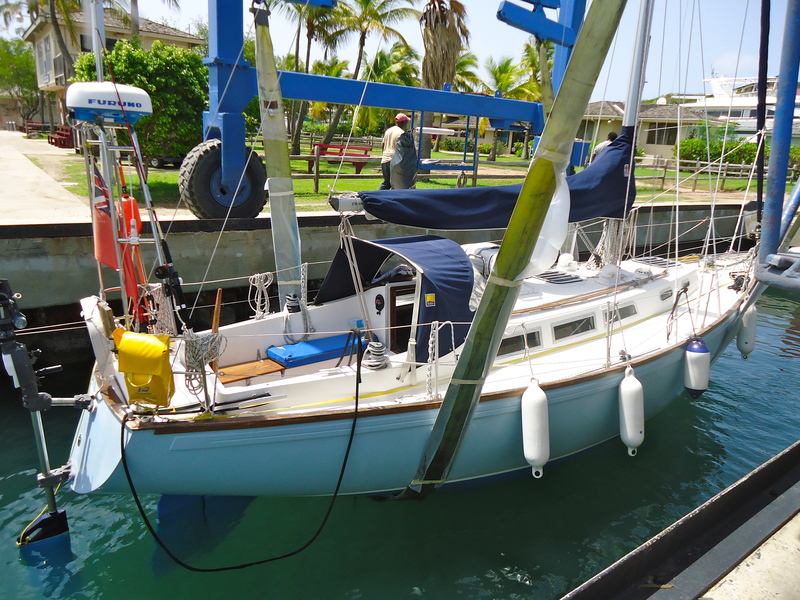 We had booked our flights back to the UK for the 09th July and had limited time to take Troskala out of the water and prepare her for the hurricane season. The weather was turning for the worst and we were anxious to get to Virgin Gorda where she would be hauled before we got stuck anywhere else. 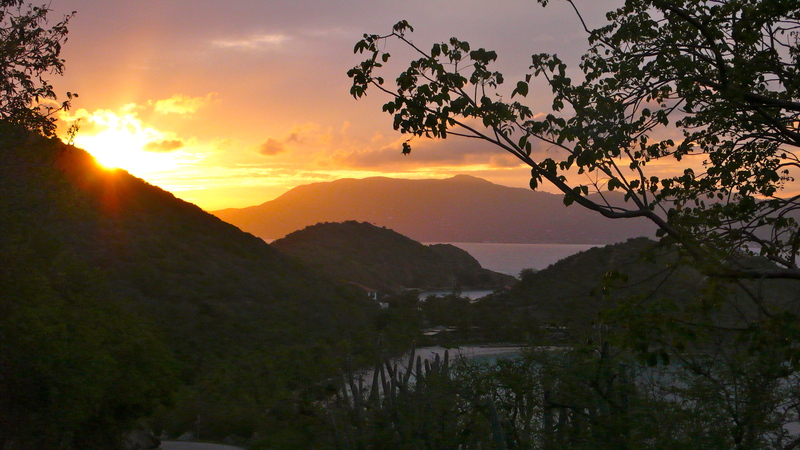 The British Virgin Islands at their best. 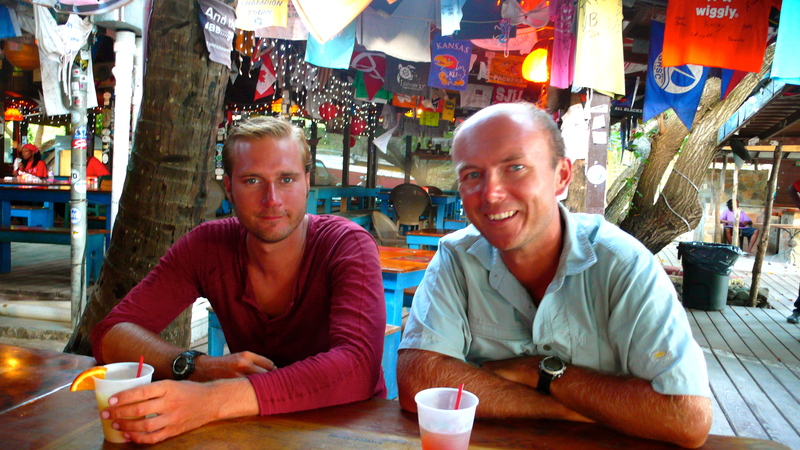 We spent our last two days in Gorda Sound enjoying the happy hour at Saba Rock and their Painkiller Cocktails and meeting a lot of new people from Necker Island and the surrounding area. We were both looking forward to returning to the UK if only to get out of the 35 degree heat and the constant bombardment from the mosquitos. I had missed certain aspects of the UK such as food and convenience but we were both apprehensive about leaving Troskala and this paradise that we have come to know. Troskala was hauled out a few days later without any problems. 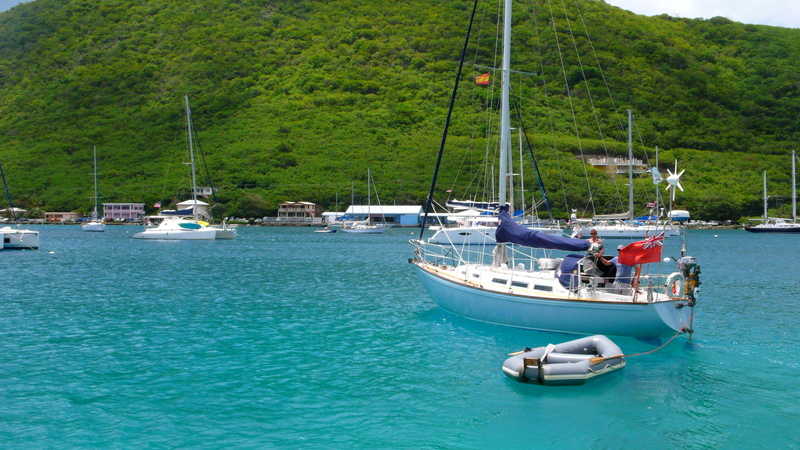 The yard at Virgin Gorda is, in my opinion the best around and there are not many choices. The staff are friendly and professional. They hoisted Troskala out, cleaned her down and left her close to the yards amenities, which made it easier for us to clean her up and start the preparations. She was hauled on the 05th July, my Birthday, probably not the best day to do what was becoming a sad experience for us both. We soon cheered up whilst having a fantastic dinner out at Coco Maya, a lovely beach restaurant and bar situation near the Baths in Virgin Gorda. The next few days were difficult with stifling heat and a complete lack of motivation to break things down and take what has been our home for the past two and half years apart. 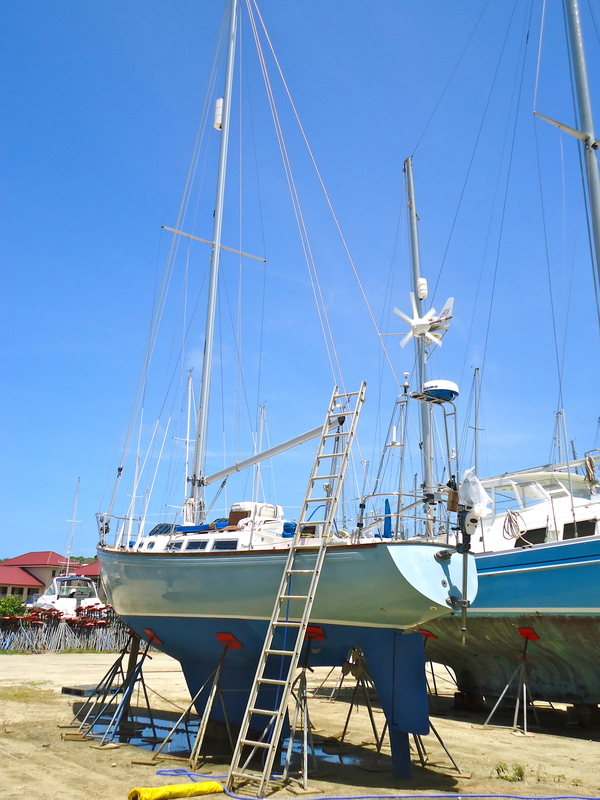 I had never been in the situation of ‘winterising’ a boat and have certainly not been in the situation of preparing a boat for hurricane season, but how hard can it be? We started with the engine. I had already changed the oil whilst still afloat but I thought I could easily change the fuel filters whilst on land. Unfortunately the primary filter screws had ceased and in a moments frustration I managed to knock the head off the screw that realesed the filter. It was time to leave that job and move onto flushing out the engine with fresh water. As the temperature does not tend to go lower than 15 degrees there was no need to drain the coolant and add antifreeze but I did need to flush the system out. My idea was stick a hose up the raw water inlet and run the engine. Carlotta had the hose and I was above checking. We cracked the engine, which started first time but no water was to be seen. I shouted down to Carlotta to increase the flow but instead she turned it off. After a few seconds I realised that she was running dry so we stopped the process to have a think. A hose up the inlet really was not working. I had dried the impeller so again no water would enter the engine. I checked the books removed the impeller and lubricated it with fairy liquid. I then removed the raw water hose and fitted another hose that went straight to a bucket, which was filled with water from the main yard hose. This worked a treat and you will see in the photo how it worked. 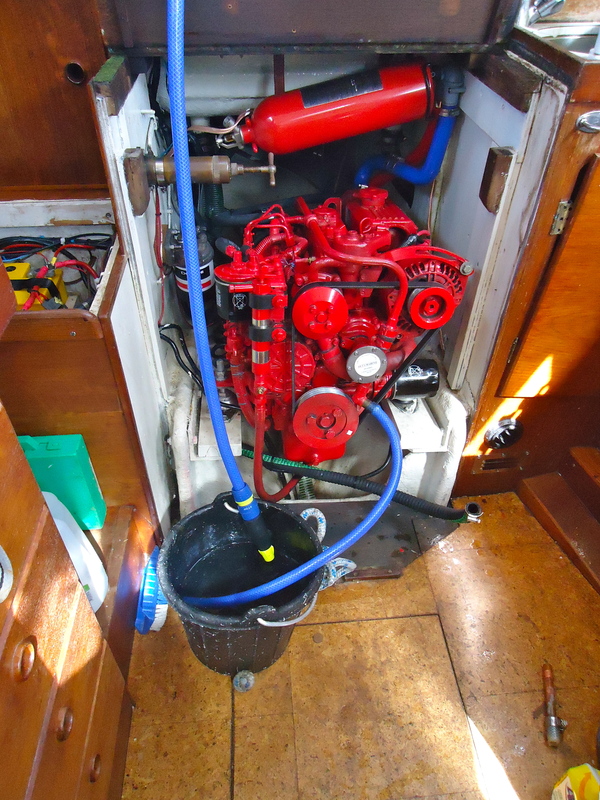 I ran two buckets of fresh water through the engine, removed the impeller and basically that was the job done. Running fresh water through engine. A hurricane can produce winds that blow in excess of 80 mph so it was imperative that all possible windage was removed from Troskala. 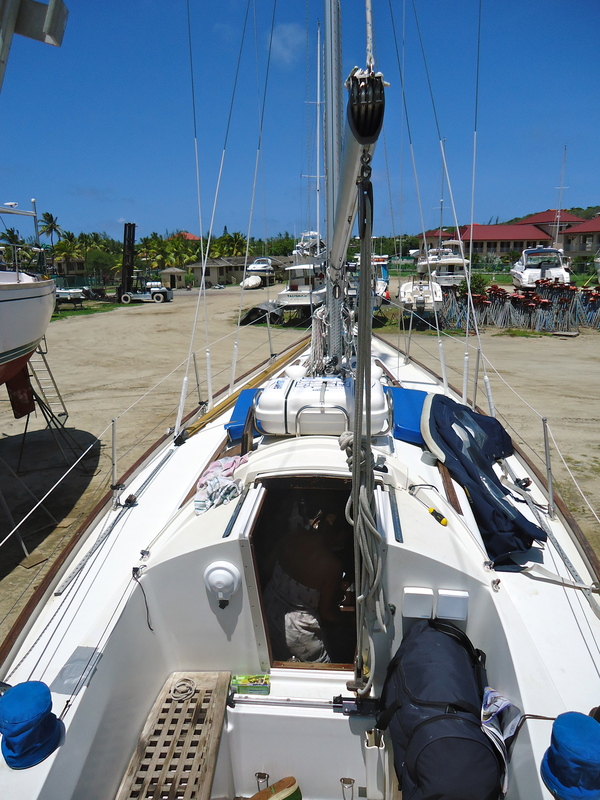 We started by removing all sails, the life-raft, safety gear, covers, halyards and flags. Everyday became more difficult as the heat increased to 36 degrees but we could not stop and were already running out of time. We made some great friends in the yard and were happy in the knowledge that 3 other boats would be keeping there eye on Troskala and sending photos, some of which we have already received – thank you. Another note to mention, which I nearly forgot is the subject of importing a yacht. 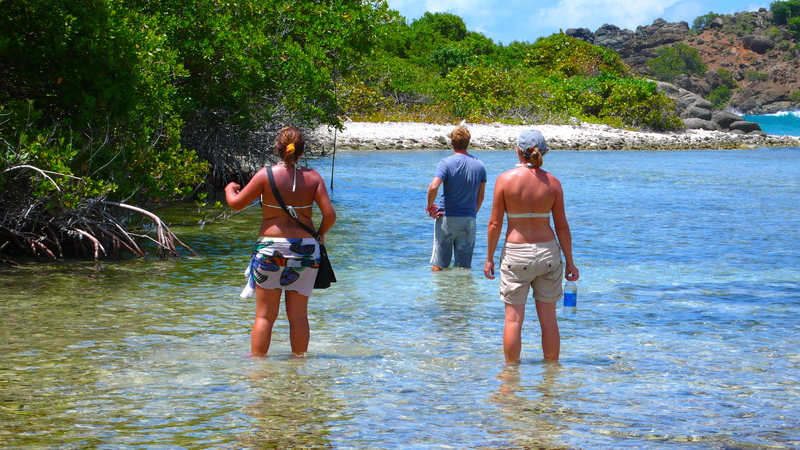 We had no idea that if we left Troskala in the BVI’s for over 6 months we had to import her. So a lot of paper work and a $200 bill later Troskala was imported for the next 12 months; she was now more legal than we were. The departure date loomed and one morning at 05:00 AM we found ourselves waiting for the local ferry that would carry us the short distance from Virgin Gorda to Beef Island on Tortola. As we were sitting there you could hear the sound of endless chickens that roam the streets, what a difference we would face in the next 24 hours. Not long after we were on our flight from Tortola to Barbados. As we left the BVI’s we were aware of Tropical Storm Chantel that was gaining speed and power from the Atlantic. We thought nothing of it at the time but a few hours later we were grounded in Antigua with no flights arriving or leaving Barbados. We were truly stuck and had to spend 24 hours in Antigua airport, tired, hungry and frustrated. Carlotta used her charm and managed to get us on a flight directly from Antigua to Gatwick; we were sorted. I have to add a note here in regards to British Airways. I always thought that British Airways were one of the best airlines but my opinion has changed for the following reasons. We had paid £1,000 each for this flight so I was expecting some good food, exciting entertainment and staff that were proud to represent the United Kingdom. The attitude of the staff could have been greatly improved not to mention the selection of entertainment but the best bit came at Continental Breakfast time. Now, I have worked in hotels for 10 years and my understanding is that a basic continental breakfast comprises of bread, some fruit and a meat product, so when the BA staff announced that before landing a continental breakfast would be served I was eager to dig in and savour the BA’s food selection. The cheerless hostess came round and offered me a very sad looking muffin, but that was fine, I would save it for the tube into London or for a mid-afternoon snack. Carlotta, who was sat a couple of seats behind me (thanks BA) noticed my expectations and clearly informed me that this sad, squashed muffin was my continental breakfast. I was furious but being British I said nothing, smiled and ate half the muffin. Be warned BA staff, on my return journey I will have a written definition of what constitutes a continental breakfast. Welcome to the UK. My hopes and expectations of returning to England were soon squashed, like my muffin, when we arrived at London Victoria. We had to queue for 1 hour to gain an Oyster Card to travel on the tube to West Ealing where a kind friend would put us up. Now I know London Victoria very well and have spent enough time there but it is certainly a shock to the system for anyone arriving from a holiday or a peaceful island. Oyster card sorted and we were on our way the Ealing Central. 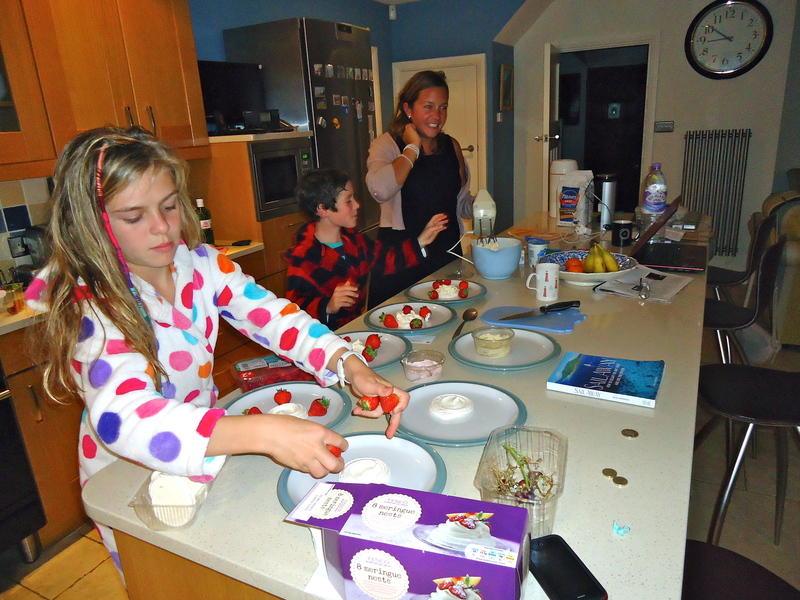 We spent some lovely days with our good friend Ben and immensely enjoyed, using a microwave, toaster, dishwasher, shower. We could hardly keep in our excitement when visiting the local Waitrose. One of the main reasons for returning to the UK was for me to gain my commercially endorsed Yachtmaster. I had completed the theory two years ago but needed the sea miles before I could complete the practical, which I was incredibly nervous about. Luckily I had spent the past two months reacquainting myself with the theory and especially the tides as we had not used tidal vectors, interpolations, rule of twelfths, and secondary port calculations for a while. I had also booked a five day preparation course, which was needed and was great fun. I met some fantastic people and it was good if not strange to be back sailing the Solent. The exam came and went and I have to say that it was probably the most stressful time I have ever had mainly due to the fact that if I had failed, our jobs and future in the British Virgin Islands would have not been possible. The great news is that I passed the practical, sat my ENG 1 medical and passed the PPR that enabled me to send off for my commercial endorsement. The stress was over and it was now time to enjoy our two month holiday time in the UK and Spain. Do you remember the Rafiki’s. 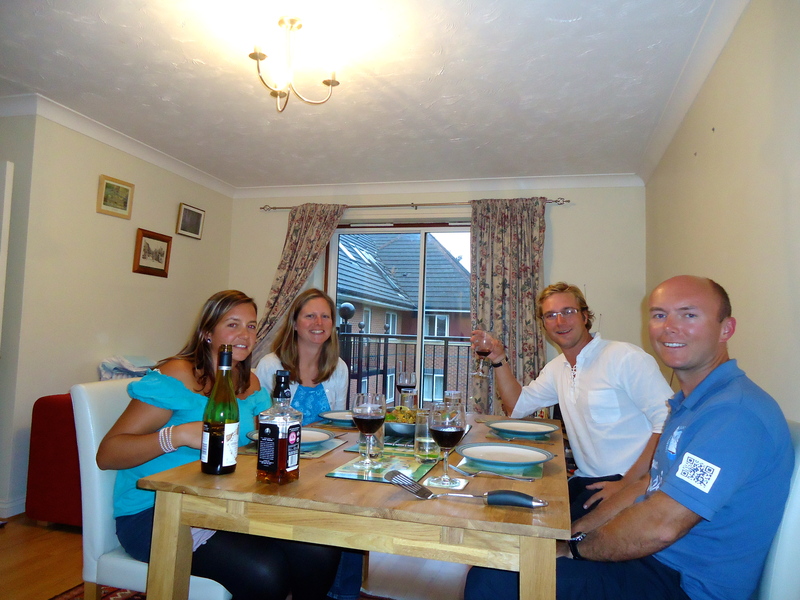 Thank you Rob, Calley, Emily and James for looking after us. We have again fallen on luck. We had planned to rent a car in the UK as we had a lot of people to visit in our short time, but looking at prices from various rent-a-car agencies we were shocked at the price. To rent a very small car for a week would cost us £500 not to mention the 500 euros we would have to spend in Spain to rent a car there and the £200 for the flight. It was time to think outside the box. 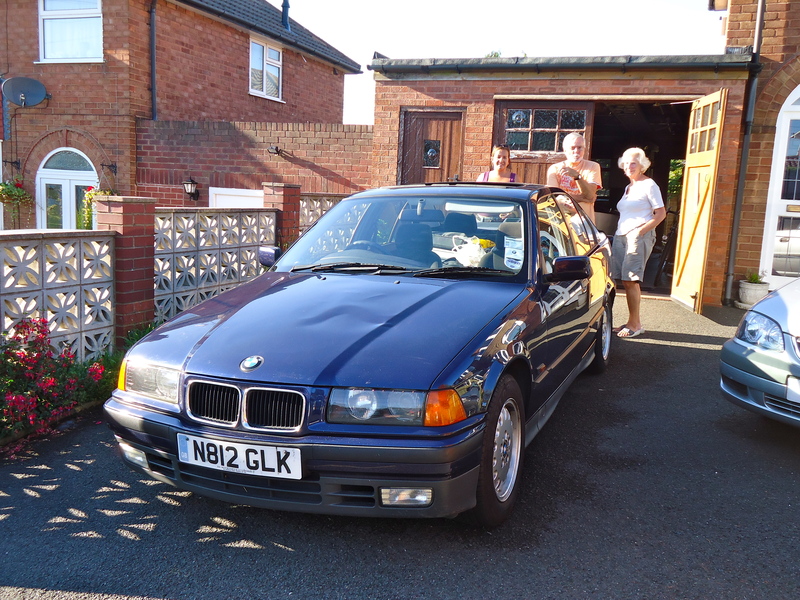 We would buy a cheap car in England and drive to Spain but this idea was short lived as you cannot get a good car for £500 in the UK. As luck would have it I found myself sitting in my old boss’s office talking about our plans. She kindly suggested that we use her father’s BMW for the trip as long as we bring it back. Problem sorted and we now have a car. Thank you Kremi and Nik. The first week in the UK was an expected relief. The convenience, culture, friendly people and atmosphere were not like I remembered. Maybe because we were so focused on leaving the UK a year before we had not realised the benefits of living in such a great country; or so we thought. I think that any change is good but only for a limited amount of time. The longer we spent in the UK the more negative things became. I had not driven in the UK for a long time but driving for the past month has been stressful. Every road is clogged, every motorway is packed. We could not go anywhere without being caught in traffic at every turn. We queued for everything, fuel, shops, trains, beer. Just sorting our credit on a mobile turned into a half day affair. Yes, there are more conveniences but life is far more complicated than I had ever realised and far more complicated than it needs to be. The return to London (Covent Garden) Thank you to all who made it. We were becoming desperate; desperate to leave and more desperate to have a quieter more simple life. It was lovely seeing friends and family and we are lucky to have had the opportunity. I have to thank all people who put us up and put up with us over the past month, your kindness and generosity has been overwhelming and we are lucky to have you all as family and friends. The UK is still the same as it was when we left but we are not the same. Something has changed and we cannot see a future for us here. 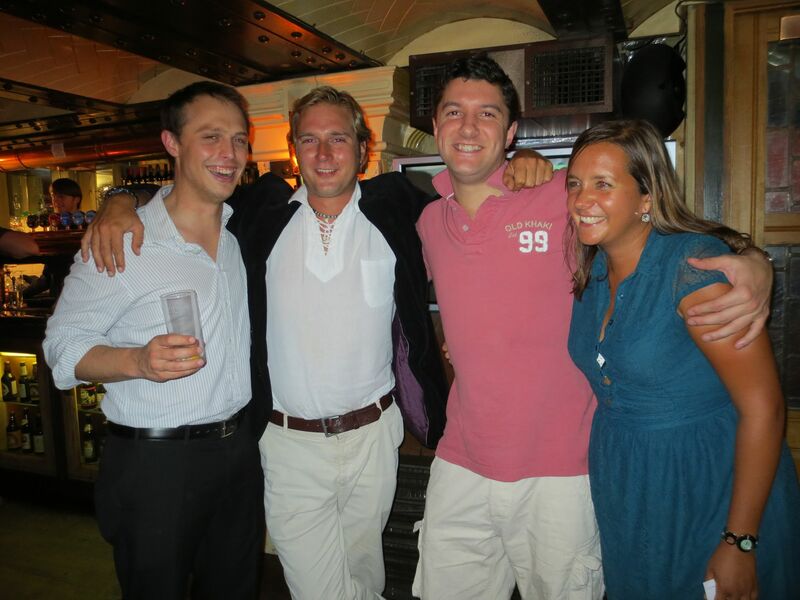 We met several people who had returned from their sailing adventure, some after a year and some after 10 years. We were kindly invited to a beautiful house set in the heart of the New Forest of John and Nicola Rodriguez. Both of them had spent years sailing and have amazing stories. John has now set up a brokerage (http://www.jryachts.com) and Nicola is the author of Sail Away ( http://www.amazon.co.uk/Sail-Away-Escape-Race-Dream/dp/0470979763 ) an inspiring read. As we sat around a fantastic Bar-B-Q we all struggled to come to terms with this new life in England and on land. 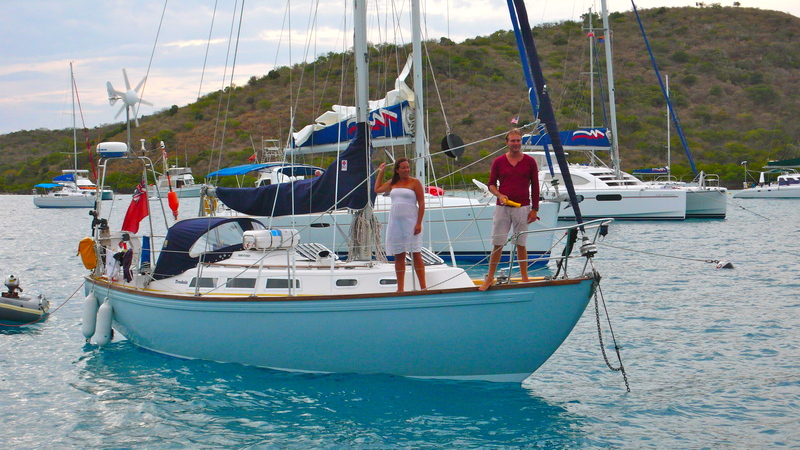 Sailing changes you and seeing the world opens up yours eyes to what opportunities and better lifestyles are out there. There is no way back. There are positives I have to add and as we were driving through the Peak District at 10 mph behind a truck we appreciated the beauty of this country not to mention the diversity. The problem is that there are too many people and we can see now that the country is struggling to cope with the increased amount. There will always be a part of me that misses England especially the kindness of the people (outside London) and certain foods and the culture is certainly unique but all of these positives do not out-weight the positives we have experienced in other countries. So long UK – Spain here we come. Goodbye UK hello Spain in Betsy the new (to us) car.